Arrange provolone cheese slices on dough. In medium bowl, mix potato, olive oil and ranch dressing mix. Spoon evenly over cheese. Sprinkle with bacon and Cheddar cheese. Bake 13 to 16 minutes or until crust is golden brown and cheese is melted. Sprinkle with onions. Serve with sour cream. 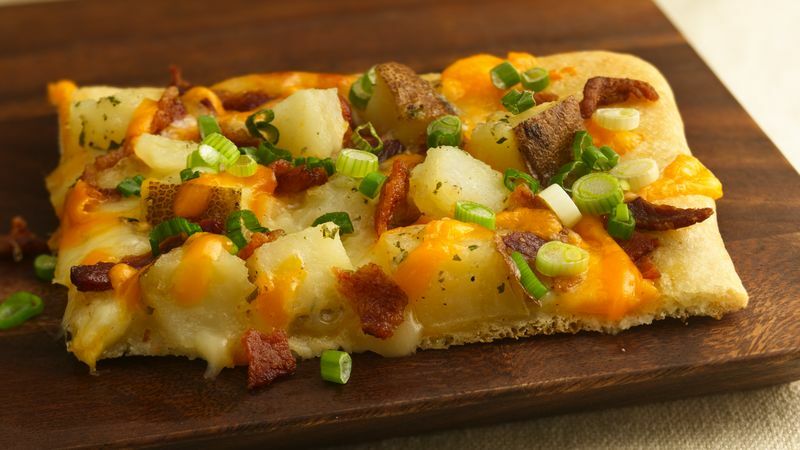 Just like a loaded baked potato, vary the toppings on the pizza to what you have on hand. Try it with cubed ham instead of bacon, or use a blend of cheeses.